Is Commercial Cleaning Just Cleaning? In today’s fast paced world, commercial cleaning is a task delegated to companies with people that cover the entire spectrum of diligence and skill. Cleaning can be a overlooked part of running a business or facility, overlooked until things start to go wrong, like employees getting sick or a lack of cleanliness that customers can see. Until then, cleaning services can often be viewed almost as a commodity. The general concept of cleanliness and professionalism is expected, and little more thought is given to the matter until airborne sicknesses begin to spread, or complaints roll in, telling of unsightly blemishes. As long as everything is running smoothly, exceptional commercial cleaning services may be regarded as a luxury, a set of excuses to raise prices without adding much value in the cleaning department. A closer look, however, reveals this way of thinking doesn’t hold up. Recent studies have shown that cleanliness delivers direct benefits to a business in a myriad of ways, from bringing more sales and making partners and investors comfortable, to raising productiveness among employees who feel comfortable where they work. There are a few important ways to approach selecting the right commercial cleaning service, that will ensure the most thorough and effective job is done. A higher standard of cleanliness brings clear internal benefits to any business or institution. The high morale that comes with working or otherwise spending time in an extraordinarily clean space cannot be replicated any other way. The improved employee health and lack of visitor health issues saves money, from a lack of sick days taken to more serious issues for sensitive venues such as hospitals and churches. These benefits come from selecting a commercial cleaning service that values diligence and internal accountability, and will not overlook things that may come back to haunt. A good cleaning company swoops in and does a job. An exceptional one keeps constant and direct communication with the client. The best cleaning services keep a multiple tiered accountability structure, where the company adjusts to the client’s concerns, and also exercises oversight of its own workers with dedicated managers for each job site. Constant communication between all involved ensures nothing is left overlooked or undone. 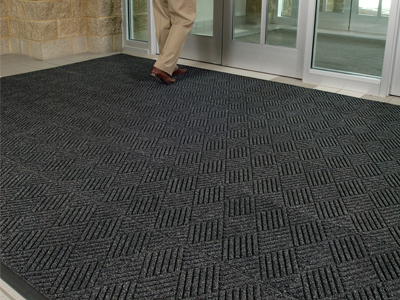 Working with a company that understands the most minute differences between floor types and how to approach them for the most effective cleaning, or that makes it a point to be well versed in every regulation governing the different types of buildings they serve, will result in an undeniable difference from an average commercial cleaning company. The best are the ones who take everything they do seriously, and that includes making themselves experts in everything that can come into play in commercial cleaning. Training is an area that can expose the corners cut by many average cleaning companies. While many will do little more than to simply turn their employees loose,___ The best training program will create a culture at the company, where everyone knows what is expected, and everyone is on the same page. Such a culture, devoid of disgruntled workers common in cleaning and janitorial jobs, will operate like a fine-tuned machine, and allow a client to rest freed of concerns about motivation. Cleaning is an investment that can protect and even grow a business, church, hospital or other commercial venture. A commercial cleaning service that goes beyond every expectation is one that will help a business in more ways that it may ever be able to count. There are those of us that have gone home from work to find out that your son or daughter has gotten sick from another peer at daycare or school and YOU end up with a cold. Being sick you still go to work, knowing that there is a potential to spread your sickness to your coworkers but you can’t call in all your sick days for every little cold. This is one of the best reasons why commercial cleaning services and building maintenance are needed in buildings and offices that have many workers. 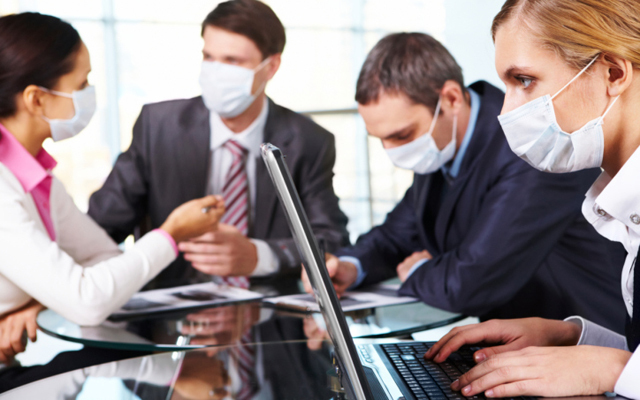 With routine cleaning and maintenance in place employers can have the confidence that workers will less likely get sick from other workers that are sick and will have higher productivity levels in general. Routine cleaning by a professional cleaning company is usually more cost effective and thorough at minimizing the spread of viruses versus hiring your own in-house cleaners. You can get results from a professional cleaning services that make a positive impact for your facility’s environment. Routine janitorial cleaning includes basic cleaning and disinfecting of floors, surfaces, counters, trash cans, door handles, keyboards and equipment to the owner’s specs as well as trash removal and supplies replenishment for toiletries and trash bags. Building maintenance helps keep floors looking new, light bulbs working, walls looking fresh with new paint and other services like snow removal, professional window cleaning and professional pressure washing and more. 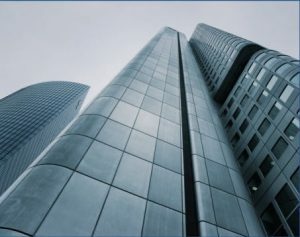 By having routine maintenance and cleaning in place a building owner or office manager can achieve a clean disinfected environment for worker efficiency, a more cost effective and more thorough cleaning vs in-house, and completion of many of the small problem associated with keeping up with the building maintenance and supplies replenishment needed. Medical facility cleaning is a service performed in hospitals, laboratories, clinics, doctor offices, dental clinics, and physical therapy centers. Medical facility cleaning cannot be performed by every commercial cleaning service, but DBS Building Solutions can help. This type of cleaning requires people trained to clean up contagions and prevent cross-contamination. 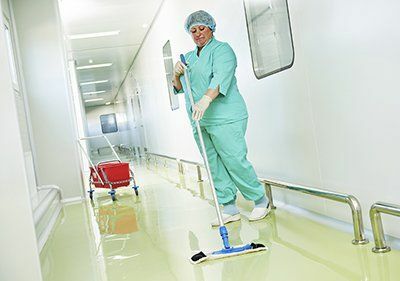 Medical facility cleaning must be performed by janitorial crews that have been taught the proper safety measures to use in order to reduce the risks of spreading diseases. You obtain more information about medical facility cleaning here.